You don’t have to wait until you’re old enough to enroll in Catholic University to begin to experience the exciting life and learning opportunities to be found here. High school students are invited to sign up for one of our summer pre-college programs. The Busch School Summer Business Institute is an exciting week-long educational experience in business innovation, entrepreneurship, leadership, and ethics through the lens of Catholic Social Doctrine. Rising juniors and seniors in high school will have the opportunity to dive hands-on into business principles, competitions, and applications, while experiencing a taste of college life in Washington, DC. The week will feature presentations and workshops put on by the top men and women in their fields, allowing students to engage with real-world business practitioners and entrepreneurs. Throughout the week, students will create their own business idea and present to CUA "Shark Tank" judges. The Benjamin T. Rome Summer Band Workshop is open to any student currently in 8-11th grade. The workshop will provide an opportunity for students to prepare, rehearse, and perform a concert or concert band literature at the end of one week. Students will be coached in specific instrumental technique and large-ensemble skills by Catholic University faculty and other professional musicians. Light the World! Encourages high school students to learn to see theology in everyday life by exploring theological traditions, asking questions about the moral dimensions of contemporary issues, and examining how their faith calls them to lives of service. Learn more about Light the World! The Experiences in Architecture program at The Catholic University of America is an intense three-week workshop for students interested in architecture or other design related fields. Students are exposed to both the academic and the professional sides of the architecture arena as the city of Washington, D.C. becomes their classroom. The Experiences in Architecture program will better prepare you for the rigors of architecture school, giving you a head start, as well as acquaint you with campus life at the university level. Students who have participated in the EIA summer workshop or a similar pre-college program are better prepared for success at the university level. The Catholic University High School Drama Institute is a joint offering by the University's School of Music and Department of Drama. 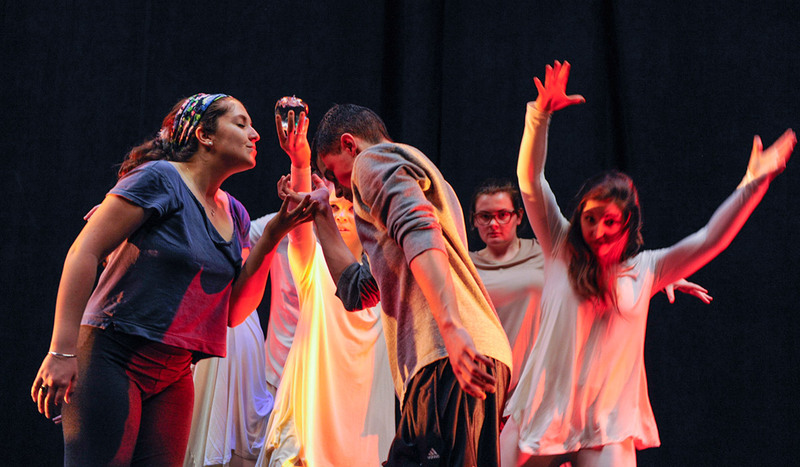 Students major in Musical Theatre or Drama/Acting in this 3-week residential program designed to offer intensive summer training in the performing arts. Study voice, acting, dance, movement, and more with experts in the field and like-minded theatre students. Engineering New Frontiers (ENF) is a weeklong, residential summer camp for rising high-school juniors and seniors held on the campus of The Catholic University of America. At ENF, students will work closely with Catholic University's engineering faculty members to explore the wide variety of engineering opportunities in our society. Through classes, demonstrations, and hands-on experiments, students will experience what college engineering majors and professional engineers do. Living on campus, students also get a "taste" of college and exposure to the best of Washington, D.C., including special museum tour, sporting events, and various other safe recreational activities. The Applied Math in Action! pre-college summer math program is designed to inspire students to study STEM fields through a dynamic look at applied mathematics–including everything from creating and cracking codes to trips to Washington, D.C.'s national monuments, NASA, and the Spy Museum. High school students will get to experience campus life by living for one week at The Catholic University of America in our nation's capital while working with Catholic University's math faculty and students on projects, such as ancient codes, modern cryptography, and cyber-security. Learn more about Applied Math in Action!